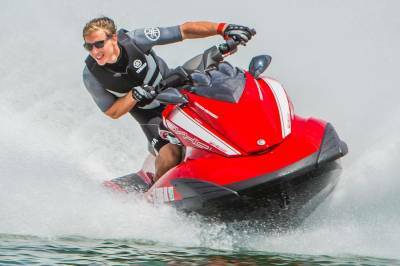 Reserve your JetSki today, we offer the newest Yamaha PWC for your enjoyment, Located in the heart of Miami and Miami Beach. We are available for rentals 7 days a week from 11am to 6 pm. RSVP deposit is to ensure there is a Jetski available for the date of your choosing, after deposit you will receive a conformation email with dock location, your booking date and available times will be given for your choice. 1/2 hr rentals $75 A $25 RSVP deposit plus eventbrite fee to RSVP your Jet SKI time Balance due at dock $50 + incidental deposit 1 hour jetski rental $125 A $35 RSVP deposit plus eventbrite fee to RSVP your Jet SKI time. Balance due at dock $90 +incidental deposit There is incidental deposit of $150 that is refundable after ride. We do take cards for deposit at dock but we do suggest paying in cash to receive a cash refund on the deposit.